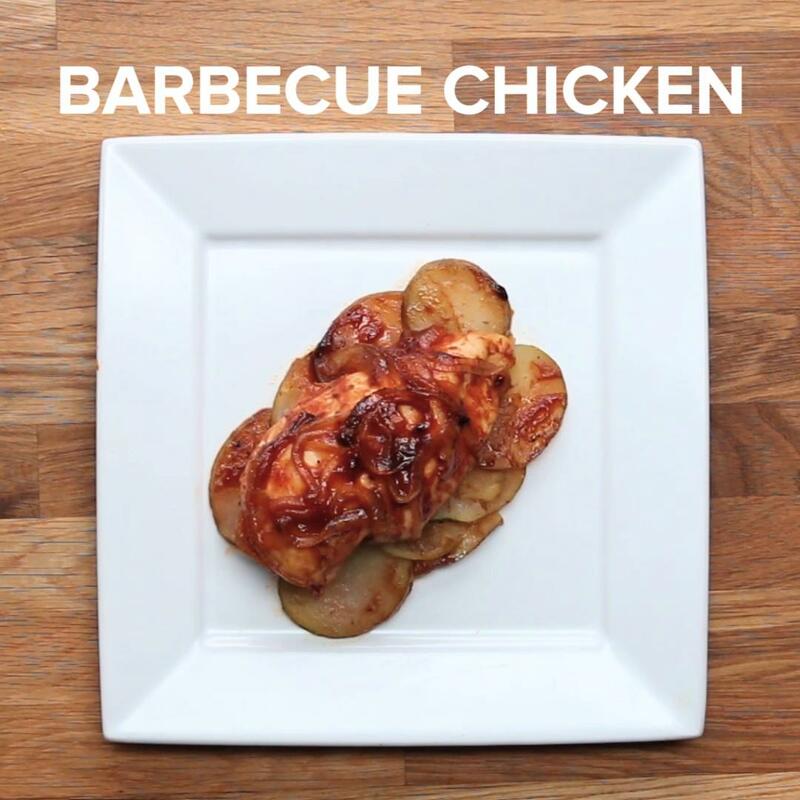 Fold the parchment paper in half, then open up. 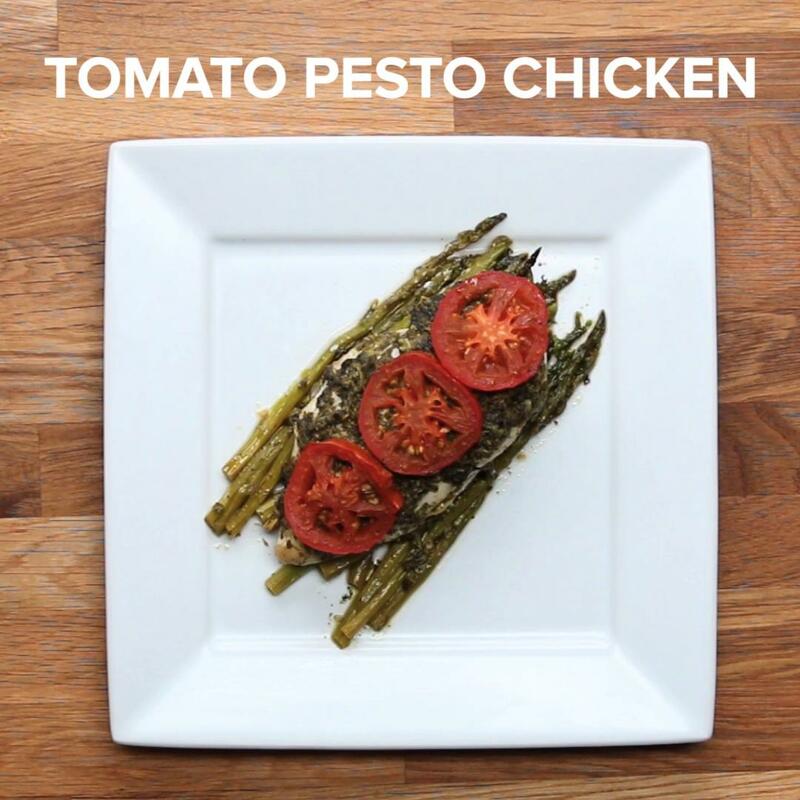 On one half, lay down the asparagus. Drizzle on oil and sprinkle on salt & pepper. 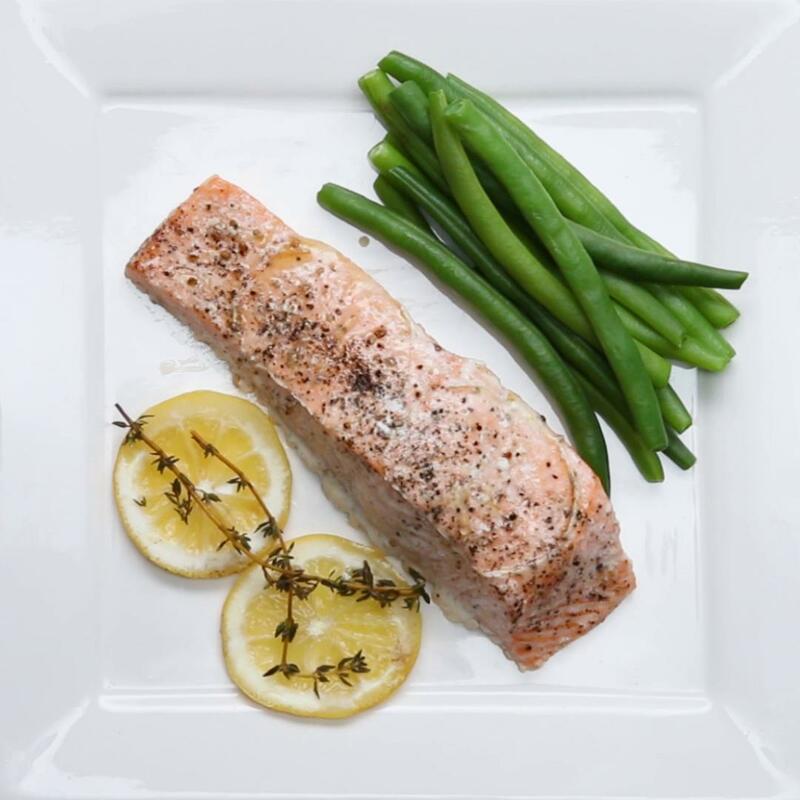 Lay the salmon on the asparagus, and add more oil, salt, and pepper. Place the onion, lemon, and dill on the salmon. 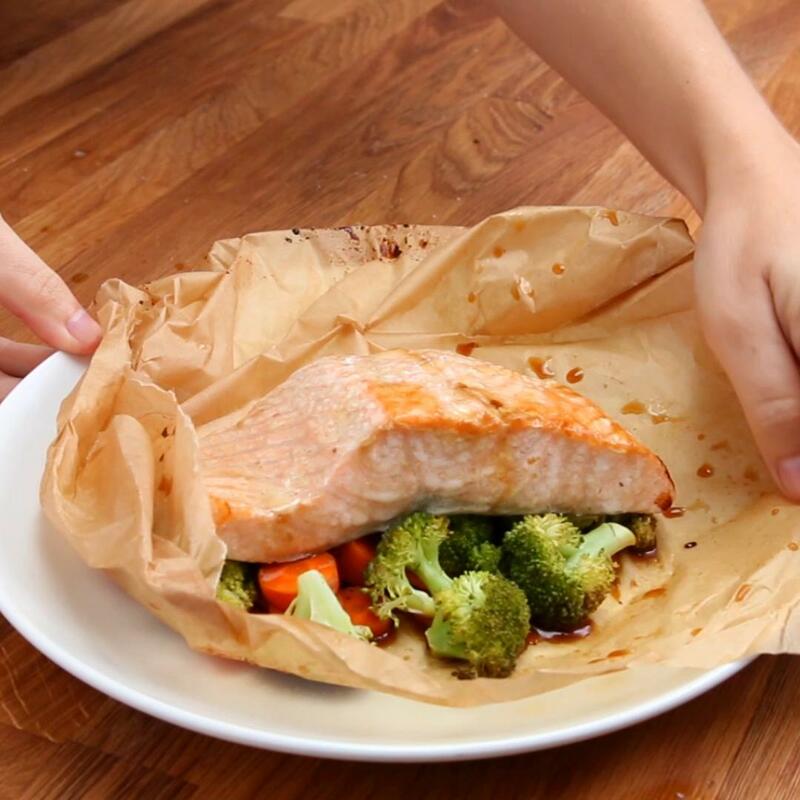 Fold the parchment paper over the salmon, and cinch the paper together by folding it over itself along the edges. Bake for 20 minutes or until internal temperature of salmon reaches 145˚F (63˚C). Not a fan of asparagus so I made it with carrot and courgette instead and tasted amazing, also squeezed a little lemon juice onto my salmon. 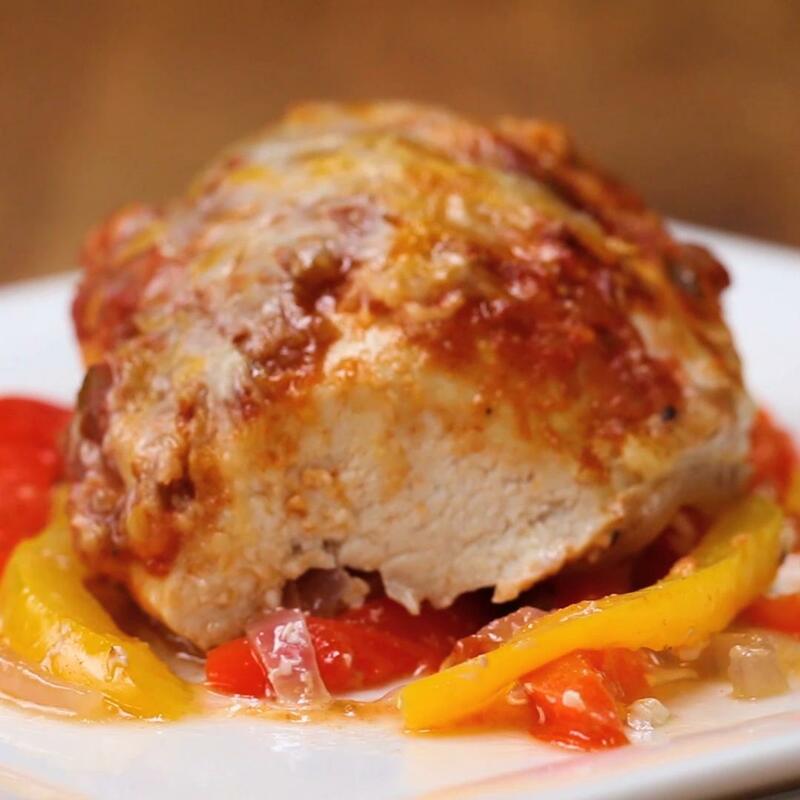 I love baked salmon, it’s so healthy, fast and easy. This time I used green beans, and flavoured with garlic and lemon. 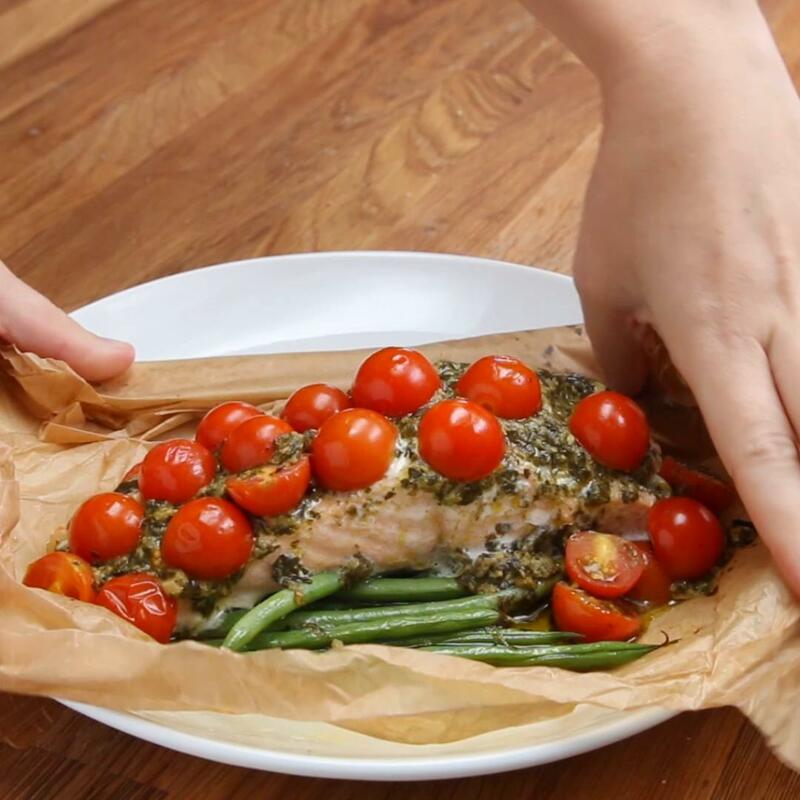 This is the 2nd salmon parchment recipe I made, and like the first one, this came out really tasty. I think I would squeeze some lemon juice on the salmon in addition to the lemon slices to season it real good.